Summer chili is very nutritious because it has a variety of colorful veggies. By that time, the days are hotter. Cooking the chili in a slow cooker is wonderful. No heating up the kitchen over a hot stove. Plug the cooker in, fill it up with all the ingredients, and let it cook on low all day. In this slow cooker chili recipe, however, the hamburger has to be browned beforehand. Of course, you could do that the night before or a week before and freeze the meat until you’re ready for it. I like chili any time of the year. This one has a mixture of hamburger, beans, and vegetables, one which is peas. English peas. If you aren’t familiar with that type of peas, it’s the same as sweet peas or green peas. I sent my husband to the store once to pick up some “English” peas. He called me from the store. He found them right away then. When I grew up, everyone in my family called these peas “English” peas. I still refer to them as that. What’s the difference between English and sweet peas? Same thing. You eat the little sweet peas from the pod. The best type of canned peas is the Le Sueur brand of early young sweet peas. They are SO good. My paternal grandmother and great aunt always cooked English peas with some butter and a tablespoon of sugar. Kids will eat them this way, my great aunt always told me. Maybe that’s why I like them so much. Today, April 9th, my paternal grandmother would be 115 years old. She died at 77. I have missed her and think about her all the time. She was a little old-fashioned lady who gardened and had fruit trees and was a good cook. I’m honoring her memory today with sweet English peas in my summer chili. Add all ingredients in slow cooker. 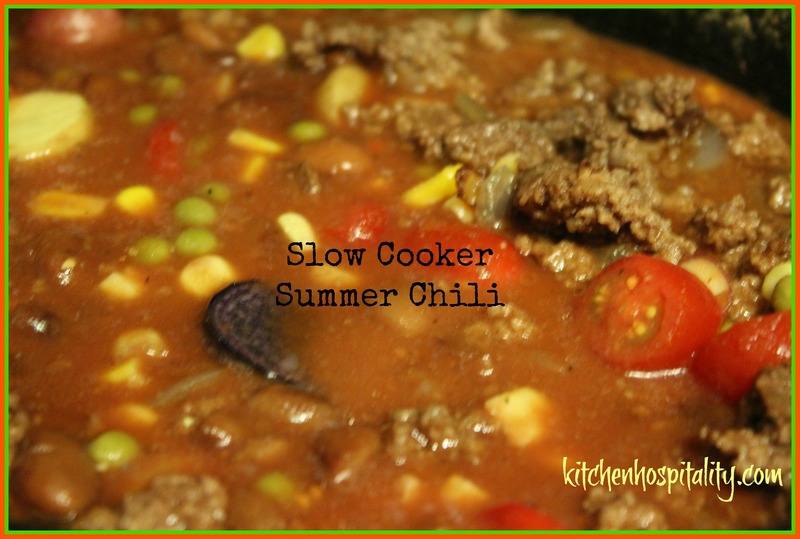 The Slow Cooker Summer Chili makes a wonderful after-church Sunday lunch. It’s so nice to come home and not have to cook after church, plus it saves money from going out to eat. 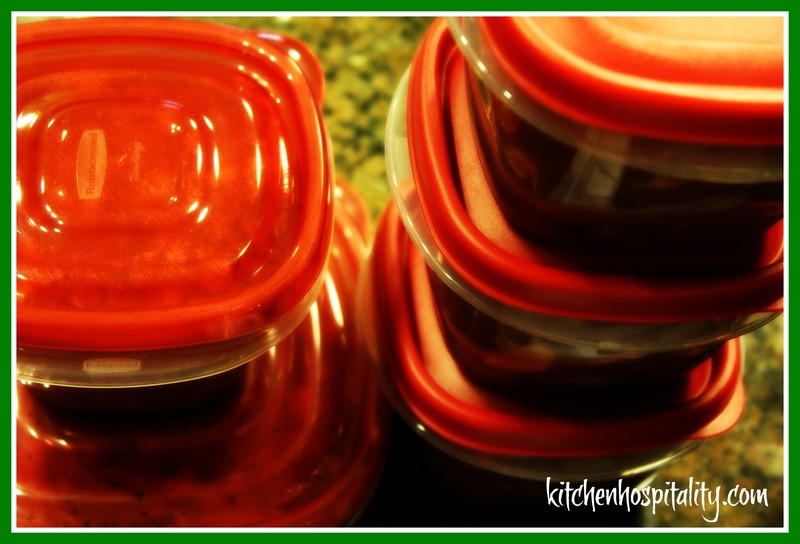 If you have a lot of Summer Chili left over, freeze it to serve later. This Chili recipe looks and sounds delicious. Your lat two posts have me craving a baked potato topped with chili.